I have had the opportunity to work with several self-published authors. One of their biggest challenges is to successfully promote and sell their book or books. Since they don’t have the budget and backing of a large publisher they sometimes feel like their options for promotion and selling are few and far between. However, the advent of the internet and digital readers such as Kindle has opened up doors to many successful self-published authors such as Roye Okupe’s E.X.O. The Legend of Wale Williams, Bernard Shaffer’s Guns of Seneca 6 Saga, Barbara Freethy’s The Way Back Home and William P. Young (The Shack). 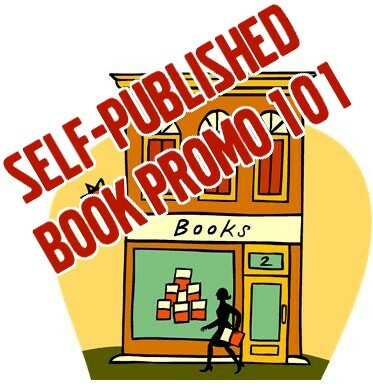 Here is a quick list of basic promotion ideas for self-published authors. Use a low-cost platform such as WordPress.com or even Wix.com to develop your site. Bernard Shaffer’s site is built on Wix as is Virginia author Jayne D’Alessandro-Cox. Purchase a unique domain name that matches the title or subject of your book for maximum SEO impact and use that domain name for your email address too, i.e. brian@mywebsitename.com. Allow visitors to purchase directly from your website or provide direct links to Amazon.com or other ecommerce sites for easy purchasing. Setup an individual seller account on Amazon.com. Amazon is the single largest seller of books on the internet so having your book available here increases exposure. Make sure every page of your website has a descriptive “Title” tag. The title tag is what appears at the top of a web browser and is the title saved when someone save’s the page as a ‘favorite’ or bookmarks the page. Make sure the keywords are not single words. Use phrases you expect people to use when searching for books like yours. Use the free Google Keyword Tool for ideas. Review or create “description” metatags on all pages for relevance and keyword optimization. Ask friends, relatives and colleagues to read and review the book on Amazon.com and other sites where the book can be reviewed, e.g. Lulu.com, BN.com, etc. Publish positive reviews on your website and social media pages. Search Google for your book to see how and where it is being reviewed so that you can point readers to those pages as well. Google typically has a $75 coupon to get started. Consider a Bing Ads campaign as well. Microsoft Ad Center is the group that controls advertising on Yahoo and Bing and they often have large coupons for first time advertisers allowing you to experiment with ads at no initial cost. Since there is less competition for keywords on Yahoo and Bing, your cost per click will likely be significantly less than on Google. You can also import a Google Campaign directly into MS Ad Center to see which ads are most effective on each platform. MS Ad Center sometimes has very large $100+ coupons for first time advertisers. Amazon.com also provides advertising and is a great place to advertise book since you can also sell it on the same platform you are advertising! Consider creating ad campaigns on Facebook and Linkedin as well. Some book subjects lend themselves well to these platforms. Management books may do well on Linkedin and niche topic books can do very well on Facebook since ads can be hyper targeted to a very specific target audience. Setup a business Facebook and Twitter account using an author profile. Creating profiles that are separate from your personal social media profiles will allow you to interact with fans and readers in a very targeted manner. You will also be able to promote your book more directly and can use these professional profiles to increase back links to your book website. Social sites make good landing pages for social media advertising. creating a blog and writing articles related to your book and linking back to your book website of course! A very popular form of Internet publicity that is beneficial for many authors is a blog book tour. A blog book tour is very much like a traditional book tour, except the visits are all virtual. Instead of going from bookstore to bookstore, the author goes from blog to blog. Bookmasters.com has an excellent description of what a successful blog tour entails. For more additional advice or assistance with your promotion efforts feel free to contact me at www.loebigink.com. This entry was posted in Marketing and tagged advertising my book, author advice, book promo, book promo best practice, book promotion, how to promote a book, marketing my book, promoting a book online, self-publishing. Bookmark the permalink. Thanks that was all good information. Once an author has done what you suggest, that will lay the groundwork for getting on TV as an expert guest. Thanks again, Edward Smith.